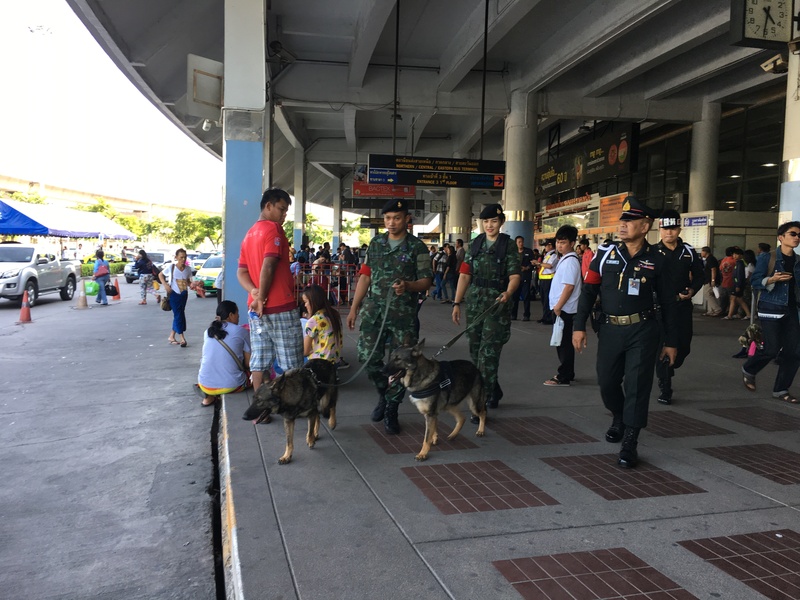 Bangkok’s northern bus terminal was packed with tens of thousands of Songkran revellers today (Apr 9) as they began leaving the capital for homes prior to the long 5-day Songkran festival beginning April 12-16. Among the Songkran revellers include the early tide of migrant workers streaming out of Bangkok for homes in Myanmar, Laos and Cambodia after the government advised their Thai employers to allow their foreign employees to return home to celebrate the Songkran festival in their home countries during April 5-30. During the period, exemption of fees from exiting the country process will be provided to migrant workers but under conditions that they must return to work in the country before April 30. 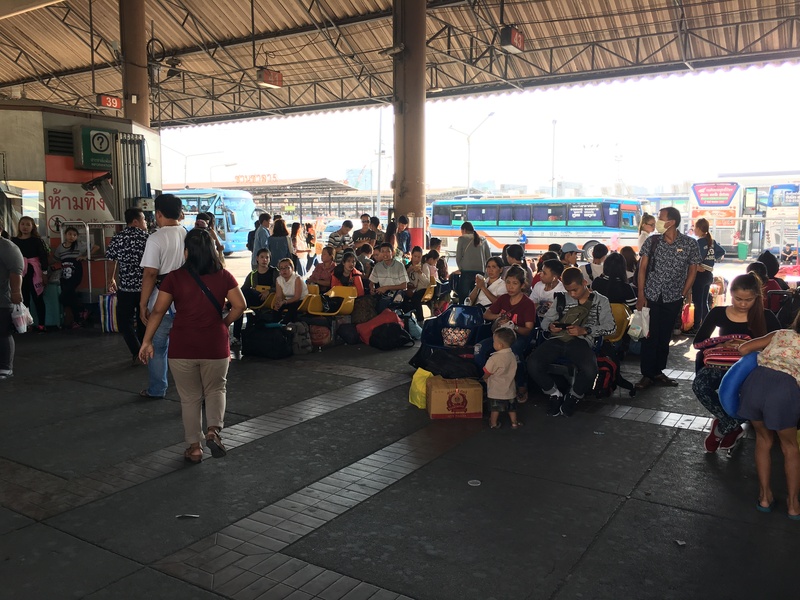 The exodus of both foreign and Thai workers by public transport jam-packed bus terminals, particular Mor Chit northern bus terminal, causing heavy traffic jams on both Phahilyothin and Vibhavadi Rangsit and the vicinities. Traffic police warn motorists to avoid Phaholyothin road this evening as another wave of more Songkran revellers are expected to take buses home after work today. 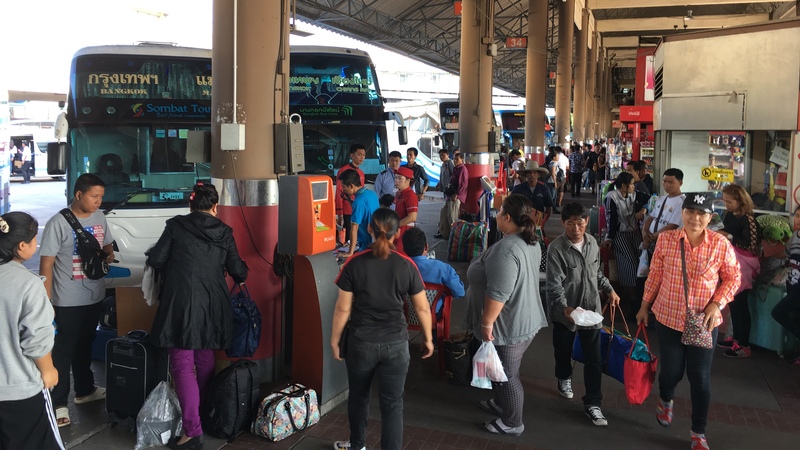 State-run Transport Company managing director Jirasak Yaowatchsakul said he expected over 1.2 million bus travellers will travel homes by buses during April 10-18. He said the company has arranged more than 31,000 bus trips to accommodate passengers leaving the capital during April 10-13, and over 30,000 return trips when they return to Bangkok after the festival. He advised bus passengers to arrive at bus terminal at least one hour before schedule as the terminal was expected to be packed. Meanwhile Mae Sot town in Tak also was packed with waves of Myanmar migrant workers arriving to cross the Thai border back homes. Immigration officials expected over 10,000 workers a day passing the border checkpoint.